Last December, the drummers Chris Dave, 44, Eric Harland, 41, and Kendrick Scott, 38, found themselves on old stomping ground, milling about the hallways of Houston’s High School for the Performing and Visual Arts (HSPVA). They had returned for the annual holiday-season “DocFest” benefit, which raises money for a music scholarship fund, and decided to take a surreal detour down memory lane. 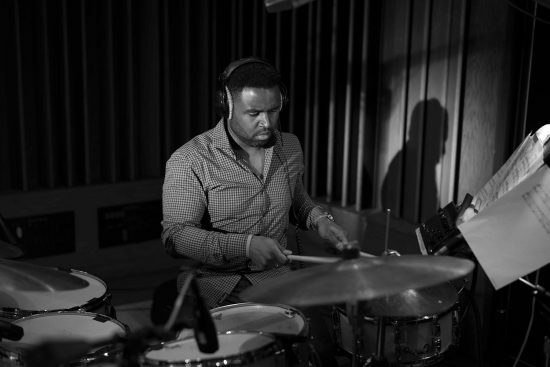 The absurd thought that the Kendrick Scott—Blue Note recording artist, rhythmic anchor for Terence Blanchard and Charles Lloyd—couldn’t cut it has an air of inspirational lore. But this is Houston, arguably America’s premier incubator for game-changing drummers. 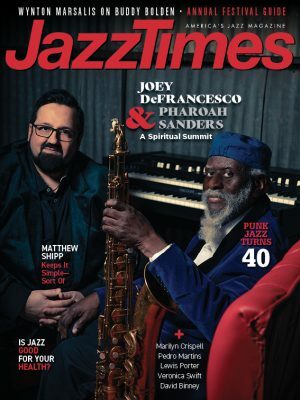 Survey forward-looking jazz, not to mention neo-soul and hip-hop, over the past couple decades and you’ll notice that several of the most fluidly virtuosic sticksmen have Houston roots. And as stylistically divergent as HSPVA alumni like Dave, Harland, Scott, Jamire Williams, Mark Simmons, and Reggie Quinerly can get, an aesthetic through line does emerge—namely, that their mastery of syncopation, odd time, and rhythmic filigree always feels grooving and flowing. So where does it come from? “What we kind of call the Houston bloodline,” Dave tells me, “starts with this cat named Craig Green.” Now 64, Green is a renowned educator whose own mentorship came via another Houston great, Conrad O. “Prof” Johnson. As a teenager, Green powered Johnson’s Kashmere Stage Band, the strikingly precocious R&B and jazz ensemble featured in 2011’s award-winning, Jamie Foxx-produced documentary Thunder Soul. A thoughtful man with a firm but gentle demeanor in conversation, Green began teaching Harland when he was six, but inherited most of his famous pupils as their middle-school drum instructor and band director. 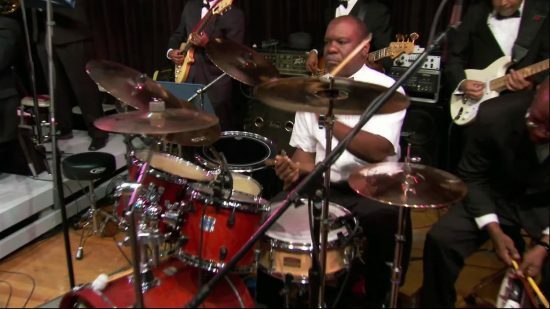 To hear him expound is to go down a checklist of what makes Houston’s all-star drummers so soulfully state-of-the-art. When I told Scott that Harland expressed nearly identical thoughts earlier that day, he laughed but also seemed genuinely touched. “Really?” he asked. “My big brother said that? I’m on the right path then.” Which points up yet another integral element of Houston excellence: a constant creative rapport, laced with wisecracking tough love, that’s shared among peers or with drummers slightly older or younger. “It’s ‘Each one teaches one,’” Scott says. Dave recalls revelatory hangs with Sebastian Whittaker, a legendary Houston drummer who passed in 2016 at 49, and whose sightlessness allowed him to develop otherworldly ears—enabling him, for instance, to narrate the movements in Art Blakey concert footage with precision, based solely on what he was hearing. Whittaker could play “swing to where you’d think he never did anything else but just swing,” Dave remembers. “If he wanted to play reggae, he’d play it as if he only likes reggae. … I took that [concept] and kind of amped it up.” Likewise, Dave would shed with Harland, his cousin, when the former came home from college on breaks. Harland in turn worked with Scott. Back in the band room at HSPVA, Scott still felt the sting of not seeing his name on those all-star plaques. That shortcoming inspired him to double down on practice coming out of high school, and after gigging three nights a week while studying at Berklee, things began to click. Then, as now, the plaques represented a lineage of greatness he aspired to join. “When we went back to the room, it hit me again. And of course, I had to be standing with [Harland and Dave]. So it refocused me.